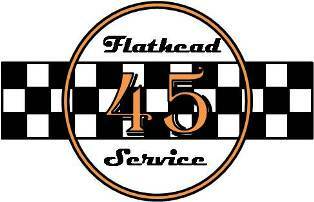 Welcome to the website of 45 Flathead Service. The Specialist for your Classic Harley-Davidson. We are specialists in repairing, restoring, overhauling and are the supplier of parts for your classic Harley-Davidson. Our focal points are the 45 (750 cc) cubic inch (WL, WLA, WLC, WLD and Servicar) and 88 (1200cc) cubic inch Bigtwin (U,UL) Flatheads. We are also your specialist for other classic Harley Bigtwin's like the (E, EL, F, FL) Knucklehead, Panhead, Ironhead and Shovelhead. 45 Flathead Service delivers good quality and excellent service for a reasonable price. 45 Flathead Service is your specialist to repair, overhaul, renovate and maintain your WL, WLA, WLC and Servicar. 45 Flathead Service has it in house and delivers quality for a reasonable price. 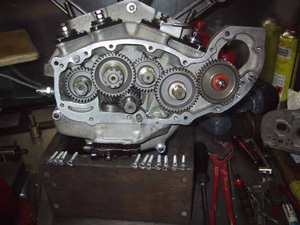 Also for all repairs of the 1200cc Flathead Bigtwin, Knucklehead, Panhead and Shovelhead we are the specialist for you. If you have questions about repair, overhaul, renovation or maintenance you can always mail us. To ask us a question you can use our contact form. 45 Flathead Service also has the parts to keep your classic Harley on the road. 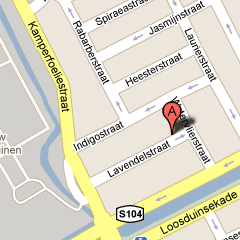 All parts that we have and ship are listed in our webshop. In our webshop you find the parts for your classic 45 cubic inch Harley-Davidson WL, WLA, WLC and Servicar. Also many parts for your Bigtwin Flathead (U, UL), Knucklehead, Panhead and Shovelhead (E, EL, F, FL) can be found in the webshop. For your Shovelhead we can order your parts at Zodiac or Motorcycle Storehouse and ship them to you. Go to the webshop for more information and to order the parts you need. We like to answer all your questions regarding your classic Harley-Davidson. You can ask us via E-mail or you can use our contact form. Our E-mail address and the link to our contact form can be found below. We shall give you an answer as soon as possible, mostly within 24 hours.